Every year in Germany, several thousand people die from the consequences of vessel occlusions, such as a heart attack or pulmonary embolism. Risk factors for such a vessel occlusion include, for example, increased blood lipid values, and also the body’s own substances can promote the development of occlusions. Thus an increase in the plasminogen activator inhibitor type 1 (PAI-1) level is also a risk factor for venous and arterial thrombosis PAI-1 is responsible for inhibiting two proteins which play an important role in the re-dissolution of a thrombus. An increased PAI-1 level thus leads to a greater inhibition of the proteins and therefore to a slower breakdown of the blood clot. 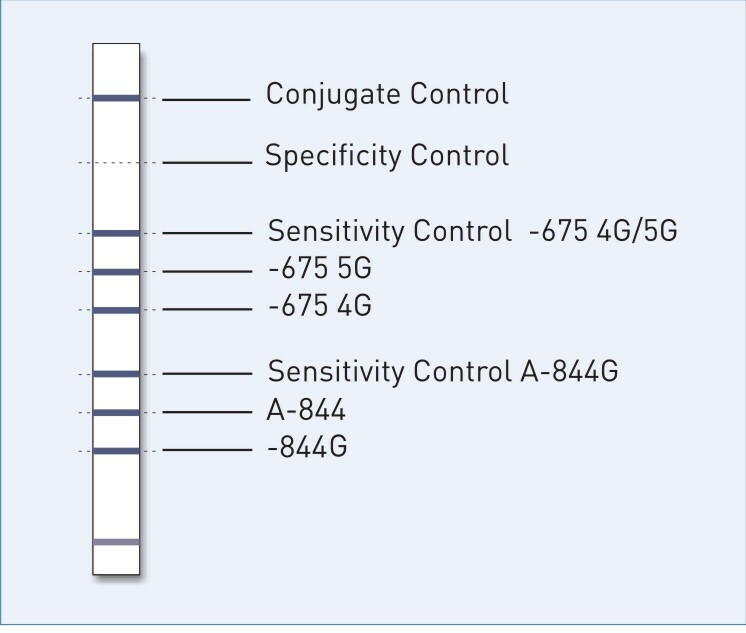 Two polymorphisms in the PAI-1 gene are associated with an increased PAI-1 level. 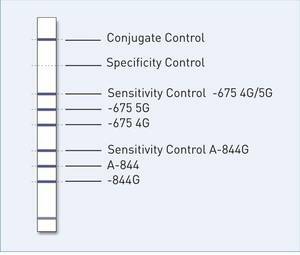 Through insertion or deletion, either 4 or 5 guanine nucleotides may be present at position –675. If the 4G allele is present, there is an increased risk for venous thrombosis, primarily if additional thrombosis-related mutations are also present. In addition, for this genotype, an increased risk of myocardial infarcts and early miscarriages has also been established. Furthermore, the A-844G polymorphism in the PAI-1 gene is relevant. If the AA genotype is present, the risk of venous thrombosis is increased for Factor V Leiden carriers. Since there is an increased risk of thrombosis in connection with thrombosis-related mutations, testing of the PAI-1 polymorphisms should be performed to assess individual thrombosis risk. In addition, it is useful to test patients with coronary artery disease and high-risk pregnancies. Our GenoType PAI-1 test system allows you to detect with certainty the two polymorphisms and thus assess individual thrombosis risk. No limitation: the PAI-1 level in the blood is affected by various factors, such as, for example, glucose or also insulin. Therefore, biochemical methods only allow documentation of the actual situation. An increased PAI-1 level over the long term, by contrast, is only conditionally detected. Testing the genetic foundation is therefore of use and is recommended. Simple evaluation: using an evaluation template, the test result can be read rapidly and clearly.